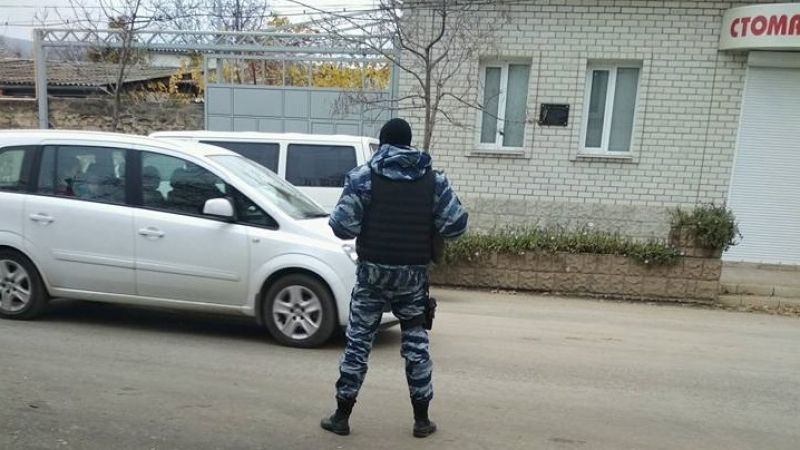 November 19, streets of the town of Staryi Krym in the Russian-occupied Crimea were crowded with special forces officers, Shakir Qirimli informed on his Facebook page. “Staryi Krym town is filled with armed special forces. Detention Vehicles. Police stops every car,” he wrote. The likely reason for the "visit" of the special forces is the collection of signatures organized by activist Abdullah Yakubov against the demolition of his "Vparke" café. Yakubov began his work in the city park back in 2010. When he started his work, the park was in dire straits. Over the years of Yakubov's work he turned it into a place where people gladly come. However, the occupants apparently did not like this situation. They demanded the activist to demolish one of his cafes in the park, promising to leave the second one. They did not keep their word and now they demand to demolish the second place. “I just got a call from the Deputy Head who informed about issuing a requirement concerning the demolition of my "Vparke" cafe which is located in the town of Staryi Krym,” Yakubov posted. the Prosecutor's Office handed Yakubov "a warning" the day before noting that during the event of collecting signatures there should be no illegal actions. Previously, on November 17, the “state lawyers” Olga Pomozova and Oksana Akulenko were detained in the occupied Crimea. The “lawyers” defend the suspects in the so-called case of Ukrainian saboteurs, Evheniy Panov and Andrei Zakhtei. Olga Pomozova was detained on suspicion of passing a bribe on a major scale. Oksana Akulenko was detained together with Pomozova. She is under summons now. "Investigative actions" are under way.